Phil started by thanking CCC for our input to council schemes and then noted that at the Full Council earlier that evening, he had been re-elected as Cabinet Member for Regeneration, Transport & Planning to which our reaction was “Thank God” or, in some cases, something more atheistic. He noted the value of the former Leader Sarah Hayward’s support for the #TaviPlace scheme in her own ward. We were pleased to hear that Julian Fulbrook has been reappointed as Cycling Champion. Phil restated Camden Council’s commitment to being an excellent cycling borough, not necessarily the best as he doesn’t want to exclude others from doing good for cycling. He noted that although there has been great progress, further progress is challenging. People have become much more aware of issues relating to Air Quality and TfL’s latest mantra is for ‘Healthy Streets’. We agree with Phil’s claim that Tavistock Place is an exemplar of a Healthy Street. Each year Camden Council uses video to perform vehicle counts as they cross four screenlines across the borough. These figures show that on all four screenlines between 2006 and 2016 there has been a 16% reduction of traffic excluding bicycles, whereas cycle flows are up by 43%. At peak times, the bicycles’ modal share is 20.7% over all screenlines but 34% on the screenline south of Euston Road. But growth appeared to have slowed recently – in 2015-16, the counts fell by 7%. Phil noted that since many people on bikes have moved to the new infrastructure, they may not be crossing the screenlines. Therefore information from the cycle counters (on Royal College Street (middle) and Pancras Road with a new one to be installed on Royal College Street north of Camden Road) should be included in the annual analysis. 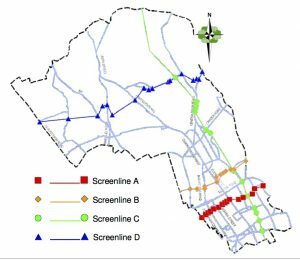 We support Phil’s suggestion that future analysis should include data for key GRID and CS routes in Camden. Although not in Camden, Camden is involved in planning this scheme. Camden Council supports pedestrianisation but recognised issues for buses, deliveries and taxis. Phil believes that there must be effective parallel cycle routes and mentioned that Sam Monck is in charge of this scheme. Phil noted that the Mayor is determined to push the scheme through as local businesses are worried about air pollution and pedestrian injuries. 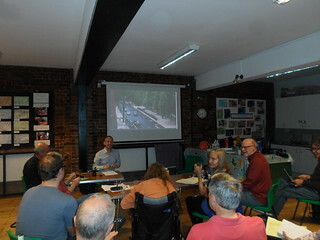 Members of the audience urged Phil to allow cycling into destinations in Oxford Street, particularly for people with loads and disabled cyclists; with excellent parallel routes providing good alternatives, a pedestrianised Oxford Street would not be a popular choice for commuters. Phil reminded us that this project (agreed in 2015) will provide stepped cycle tracks in Gower Street while Tottenham Court Road will have wider footways and provide through routes for buses and cycles only in the daytime. Earlier this month he had approved the Tendering of contracts for constructing the scheme but some residents and the taxi lobby are trying to call it in. This scheme interacts with plans for Oxford Street and Camden wants it to be ready for the opening of Crossrail in 2019. Phil mentioned that he has been invited to the LCC launch of the ‘London Boulevard’, as this scheme is now named, at the Clerkenwell Design Festival next Wednesday. He assured us that it is Camden’s next priority but he associates it with the Holborn project that TfL has refused to fund until the West End Project is in place. 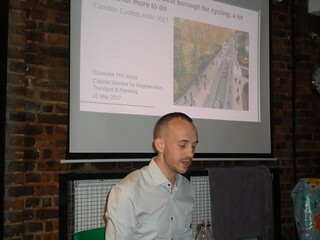 He also noted that InMidTown, the Holborn BID, is pro-cycling. Let’s hope that LCC’s campaign will attract GRID funding to enable Camden to build the section east of the Holborn gyratory on an accelerated schedule. If Camden doesn’t get started, Islington may feel it can drag its feet. Phil said that he was very pleased with all our efforts, and those of others, to get such a big response to the consultation from a wide range of views. The Council is going to fight the case to build the scheme at the Public Inquiry which will start on 3rd October and last for four weeks. The Inspector will be confirmed after 21 days’ notice. There will be a pre-Inquiry meeting in August to determine the scope. 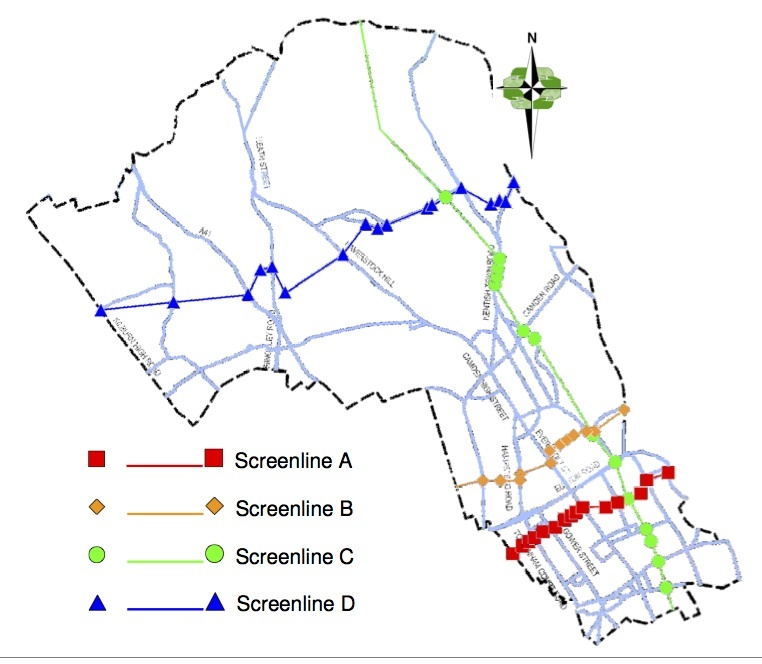 Opponents of the scheme want to widen the scope e.g. to include the WEP. Camden’s excellent report will provide a substantial body of evidence. Phil knows that CCC are very concerned at the delay to this project which was consulted on, approved and signed off in December 2015 because long delays give potential opposition time to get organised and also lead to the officers who designed it becoming demoralised. 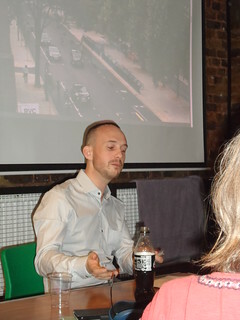 Anyway, Phil reported that Camden has agreed to keep the second bus stop on Delancey Street; the residents campaign is citing HS2 and CS11 as reasons not to go ahead but Phil believes that HS2 traffic is a reason for needing protected infrastructure. Camden is waiting for the TfL buses consultation on a minor change to the #31 bus route. Phil thinks there is evidence of Bikelash although the positive side is that only a minority objects to schemes. But, for example, people seem to fear floating bus stops although there is no evidence that they contribute to accidents. On the other hand, the Healthy Streets approach is positive. Camden is waiting for information from TfL before finalising their report on the scheme south of Swiss Cottage. TfL are proceeding with the changes to the Swiss Cottage gyratory and Phil believes that they will be very beneficial. Camden supports the widening of the ULEZ and wants to be a testing ground for the policies. The LIP funding is to be protected. In new planning rules, no car parking will be provided on new developments. 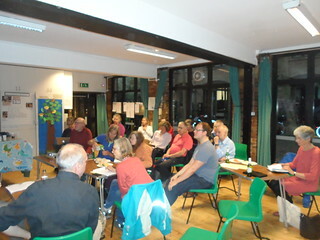 The group seemed very ready to agree with Phil’s claim that Camden has had some real successes. Phil then acknowledged the delays and said that he had come to realise how difficult it is to make progress. He told us that he can guarantee political backing from him and his colleagues on Camden council. Finally, he suggested that for the 2018 council elections it will be good if we could ask for commitments from candidates again, as we did in 2014.